Fred is a bit of a mystery. Born in 1881 in Blackburn, on enlistment his address is given as 7 Ellison Place, Rainhill and he gives his next of kin as his wife, Ada Eastwood of 71 Granville Road, Blackburn, whilst another record shows a request for his pay to be sent to 156 Leamington Road, Blackburn. On enlistment, his occupation is given as a Post Office Operator. He was sent to Bedford Signal Depot but it is unclear as to whether he actually served abroad or remained in England carrying out vital communications. ​Ellison Place, on what was Sutton Road (now Rainhill Road) was where Fred was living when he joined the Army. 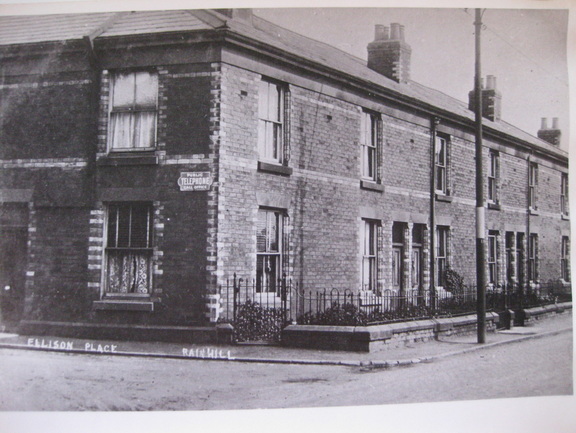 Ellison Place was a group of houses stretching from the corner of Ellaby Road along Rainhill Road towards Rainhill. This photograph was taken in the early 1900's when each house had its own small front garden.